Much of central Basel is highly walkable and many visitors prefer to travel on foot in this area, to soak up the atmosphere and fully appreciate both the sights and sounds along the route. However, a range of public transport is on hand if you are short of time, or simply have longer distances to travel. Electric trams are an extremely popular travel option and transports passengers around much of the city centre, taking right of way over everyone and everything. A day pass is always good value if you intend to travel extensively on buses and trams during your stay, although do bear in mind that your hotel may be able to provide you with a free 'mobility pass', if you are staying centrally, so this is always worth checking first before parting with any money. 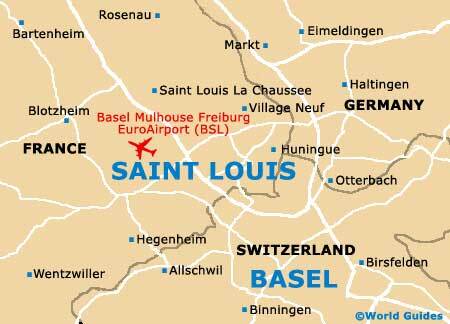 Situated within literally minutes of no less than three different countries, Basel-Mulhouse-Freiburg EuroAirport is in easy reach of not only Basel, but also the city of Freiburg in Germany, and the French town of Mulhouse. This busy air facility is around 8 km / 5 miles from central Basel and linked via a customs-free stretch of road. Notable airlines include Air Berlin, Air France, easyJet Switzerland, Swiss International and TUfly. 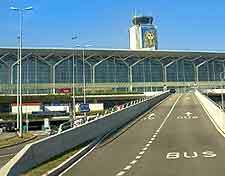 Taxis and buses (two-zone tickets) are the main mode of transport offered at the airport, and many hotels automatically provide free travel, so do check this first with the bus driver before paying. 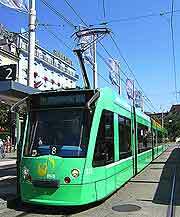 If you are planning to drive around the centre of Basel, you should be prepared to encounter some rather confusing inner city streets, which are often used by trams, which always take priority. Empty parking spaces within the historic Vieille Ville district are usually quite pricey and scarce, although are they easier to come by around the SBB Station and within the pedestrian zone. Much of the Old Town area is also car-free. However, cars are the perfect form of transport if your intention is to travel outside of Basel, with the cities of both Berne and Zurich being a relatively short drive away. 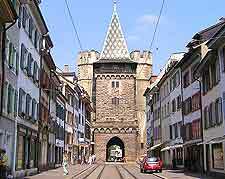 Book your Basel Car Rental here. Bus transport is always a popular way for tourists to travel around Basel. Buses run to and from Mulhouse-Freiburg EuroAirport two or three times an hour, from 05:00 until as late as 23:30, stopping outside of the SBB Station. Tickets for both buses and trams (streetcars) are generally quite inexpensive and should be purchased at ticket machines, for either a number of stops, or for the entire central zone. 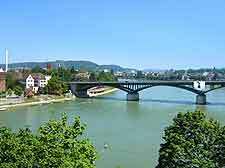 A prominent rail hub in Europe, many international trains tend to travel through Basel, including trains to and from Belgium (Brussels), France (Paris and Strasbourg) and also Germany (Cologne, Frankfurt and Hamburg), amongst many other destinations. The SBB Bahnhof is the city's main train station and features extensive connections, many of which are ideal for day trippers. The best place to find taxis in the city is outside of the main train station, where they frequently form a queue and wait for passengers. Taxis are by no means cheap and are best suited for short trips, unless money is no object.